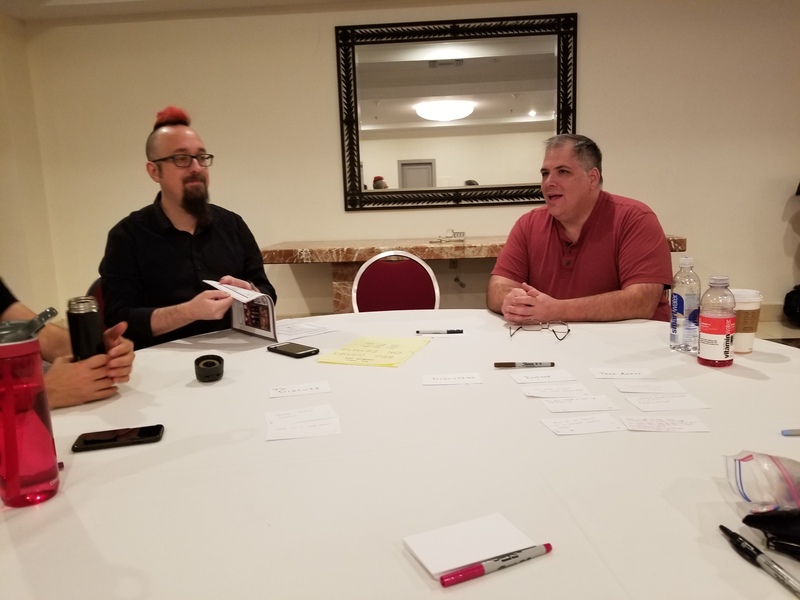 Lean Coffee for Game Designers! I went to Strategicon/Orccon a week ago. Although a good portion of the weekend was spent working the Monkeyfun booth to sell Threadbare, I also spent some time talking about game design! 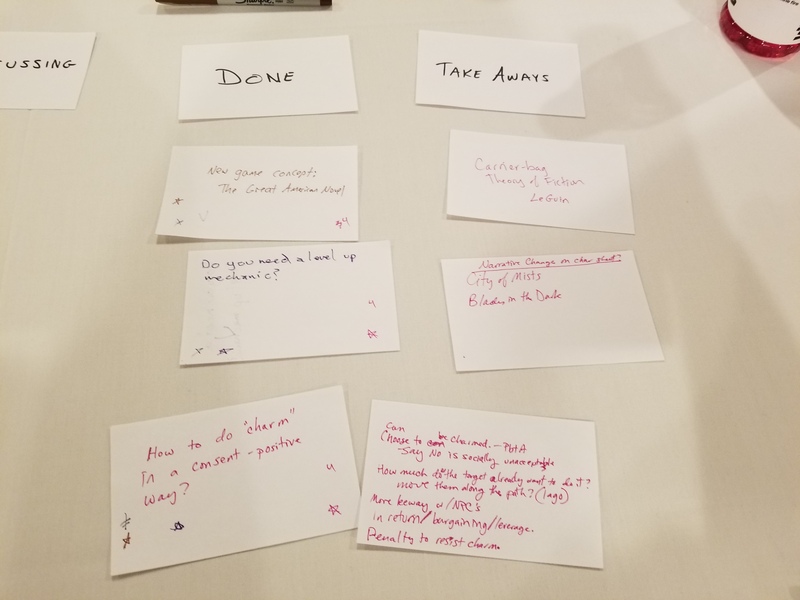 I started out by explaining how a Lean Coffee runs– we all write down our topics on index cards, vote on them, and sort them by most votes. Discuss for 3 minutes, then thumbs up or down to decide if we want to keep talking about the topic. If yes, keep talking for 1 more minute, then thumbs up/down again. Typically, the topics are put into columns: To Discuss, Discussing, Done. I like to add a column called “Take Aways” for ideas that were especially compelling, resources people mentioned, URLs, or follow up items. 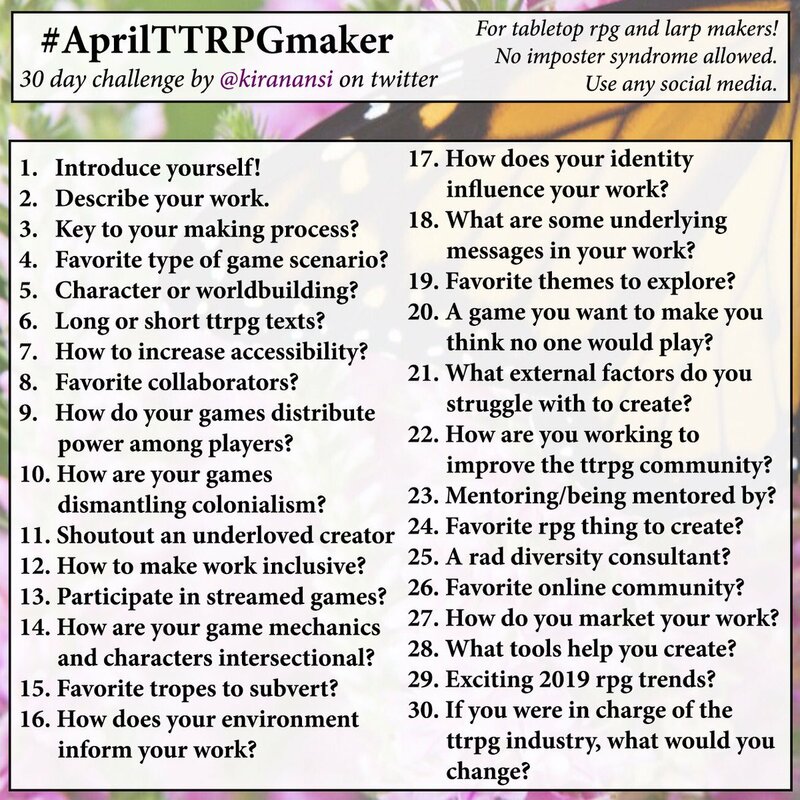 I found that we spent about 6-7 minutes on each topic and had a good chat for just under 30 minutes, at which point everyone was ready to move on to their next game sessions. We’ll definitely do this again at the Strategicon in May, and I am looking forward to seeing some good discussion from those who take up the challenge Jim Sandoval (RPG coordinator) made at the Happy Jacks convention meetup, to make a game between now and Memorial Day and bring it to the next Strategicon and enter it for a prize!